After Boca Juniors took the league, several other teams battled for spots in international competition. 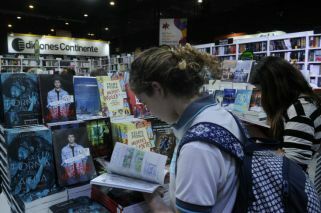 River Plate practically out. Racing and Talleres skirmishing for Libertadores glory. The first Superliga has its champion. 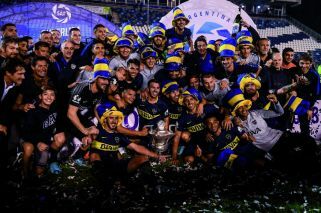 Boca Juniors led the championship from start to finish, clocking up over 500 days in total at the summit of Argentine football, and while the game that clinched the title was as uninspiring as most of the Xeneize’s play over the last few months it is hard to argue that overall Guillermo Barros Schelotto’s men are not worthy winners. A 2-2 draw against Gimnasia on Wednesday, a game rescheduled due to the biblical deluge that has hit Buenos Aires and its surrounding areas in recent weeks, was enough to give Boca an unassailable lead over closest challengers Godoy Cruz. With the four relegation spots in the Superliga also decided all eyes on the final weekend now turn to a different fight: the race to grab spots for 2019’s continental competitions. As it stands Boca, Godoy Cruz and San Lorenzo are already guaranteed three of the five places the Superliga contributes to next year’s Copa Libertadores. For the Mendoza side merely being in the competition at all marks a remarkable achievement; as recently as February the Tomba were only an outside bet, but eight wins and a draw in their last nine games saw them even make Boca sweat in the final weeks of the title race. For San Lorenzo, meanwhile, a return to the Libertadores is the bare minimum expected having started 2018 just three points shy of Boca, but losing pace thanks to wildly inconsistent form under Claudio Biaggio. With that trio already safe, then, four teams are still in the running to join them. In fourth place lie surprise package Huracán, who transformed from relegation candidates to continental challengers thanks to a run of 11 unbeaten games. Gustavo Alfaro’s men may not be too easy on the eye – in just three of those games have the Globo managed to score more than once – but they are extremely effective, and if they take a win to spoil Boca’s title celebrations in Parque Patricios this Saturday they will take a Copa spot no matter what happens in the other games. A win, too, will be enough for Independiente, whose attractive, flowing football in 2018 has been tempered by a woeful lack of accuracy in front of goal which has cost them more than a few points. The Rojo will be hoping the likes of Emanuel Gigliotti and Silvio Romero do not fluff their lines in a tough visit to Unión. Behind that pair, Racing and Talleres still have plenty of reasons to dream of a Copa spot. Racing have been rejuvenated since the arrival of Eduardo Coudet at the start of 2018, outscoring every team in the league and climbing from the lower reaches of the table to sixth while also qualifying with ease for this year’s Libertadores last 16. La Academia play on Monday with the prior knowledge of what they will have to do to overtake Huracán or Independiente; although victory for both of those sides will mean their clash against Colón is a dead rubber. Córdoba’s surprise package Talleres, a brief title challenger before falling away in recent weeks, are level on points with Racing and play on Saturday, although given their inferior goal difference they will likely need two of the three sides above them to drop points as well as a victory away to relegated Olimpo. The consolation prize for two of that quartet will be a place in the Copa Sudamericana, South America’s secondary competition currently held by Independiente. No less than six teams will qualify for the 2019 edition, meaning that four spots are still up for grabs between half a dozen hopefuls. One of those sides are River, who continued the renaissance that started with Supercopa victory over Boca by beating Estudiantes on Friday evening. Marcelo Gallardo’s men need just a points from their weekend clash against San Lorenzo to book their place, a scenario that was unthinkable two months ago before embarking on a run of six wins and a draw.